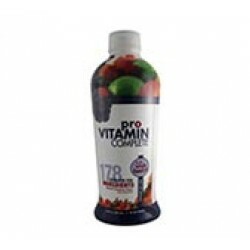 Pro Vitamin Complete - 30oz Btl. Instead of relying on just one ingredient or superfood, Pro Vitamin Complete was created with the idea in mind of targeting most nutritional aspects of the human anatomy in one complete supplement. It is designed to be the very foundation of your supplementation as the first and foremost nourishment you put in your body each day, in addition to other special needs you may have for health and wellness. It's a well known fact that vitamins, minerals, enzymes and other nutrients work together synergistically for maximum benefit and health. Therefore it was very important to us that Pro Vitamin Complete covered as wide a spectrum of nutrition as possible. It was also essential that it be great-tasting, convenient, and good for the whole family. Pro Vitamin Complete takes the guesswork out of choosing what is right for you, making it easier to ensure your entire nutritional needs are met. 178 fantastic Ingredients in Pro Vitamin! 23 Whole Food Greens Blend. 04 Essential Fatty Acid Blend. 07 Plant Enzyme Concentrate Blend. 63 Proprietary Ionic Macro, Micro And Trace Mineral Blend from Natural Organic Sea Vegetation and AquaMin. 06 Multi-Fiber Blend for Heart Health. 28 Fruit And Vegetable Phytonutrients. 18 Liquid Protein Amino Acid Blend. 19 Proprietary Herbal Complex Blend. plus Ellagic Acid from pomegranate and red raspberry extracts. Pro Vitamin Complete attempts to target all nutritional aspects of the human anatomy in one complete supplement - the best that science and nature has to offer you and your family with 178 superior ingredients. Modern diets contain highly processed foods and many foods grown on farmlands are depleted of important minerals. We all pretty much know how important vitamins are for our health, with recommended daily allowances.But remember this - it's a fact that vitamins require minerals in order to work for you. Every cell within you must have minerals to live and function. Every beat of your heart needs minerals.Also, enzymes are one of the most important elements of your health and far outweigh the value of any other nutrient. Enzymes carry out almost every chemical reaction in your body. In fact, vitamins, minerals and hormones cannot do their jobs without the aid of enzymes. With so many products on the market today boasting their formulas are the best, no other product comes close to the vast array of extremely bio-available, naturally occurring nutrients in our Pro Vitamin Complete. 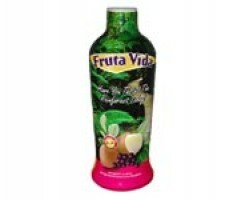 It is great-tasting, convenient, good for the whole family and a heart healthy formula.